As I’ve written before, learning the rhythm of a place is the key to understanding it – and on the Hawaiian islands, despite being the 50th state of the United States of America, its the ancient culture that defines the place. ‘Aina is the Hawaiian word for earth or land – and returning to the isle of Maui, it was the land that captured my attention. Farmland isn’t the first thing you think about when it comes to Maui, but its the key to the culture, since its part of the next wave of the culture. On this island, the Hawaiian culture is being explored by its local chefs – and thanks to the increasing support and development of the local producers – farmers and growers who are committed to growing canoe crops – aka traditional crops of the Hawaiians. 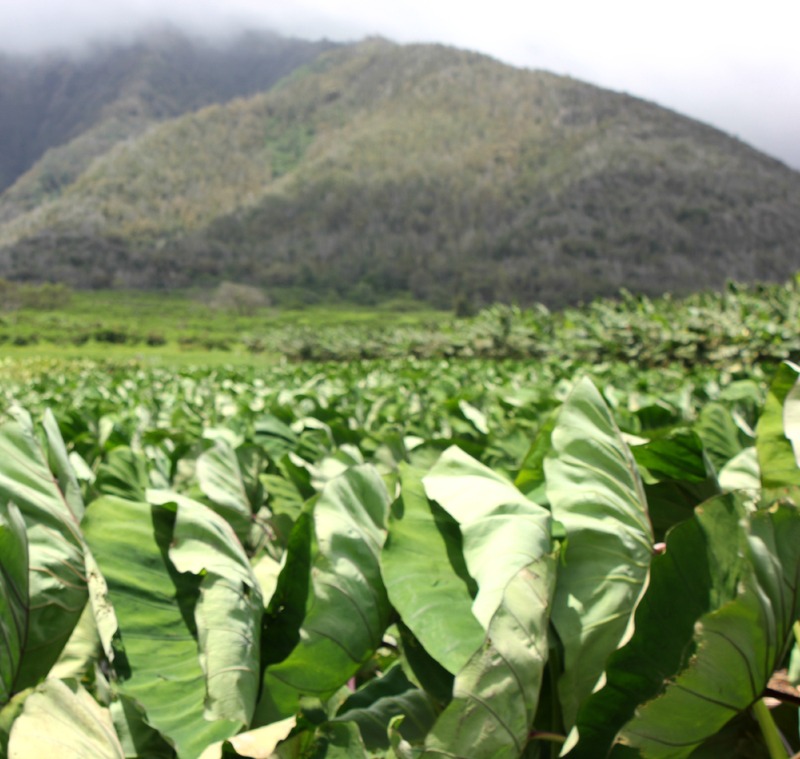 At the heart of the island is kalo – also known as taro. This plant was one of the key items in the Hawaiian diet, an easily grown carbohydrate that could be used in many ways. But its now a rare plant, expensive and not commonly grown, purchased or even eaten by the locals. 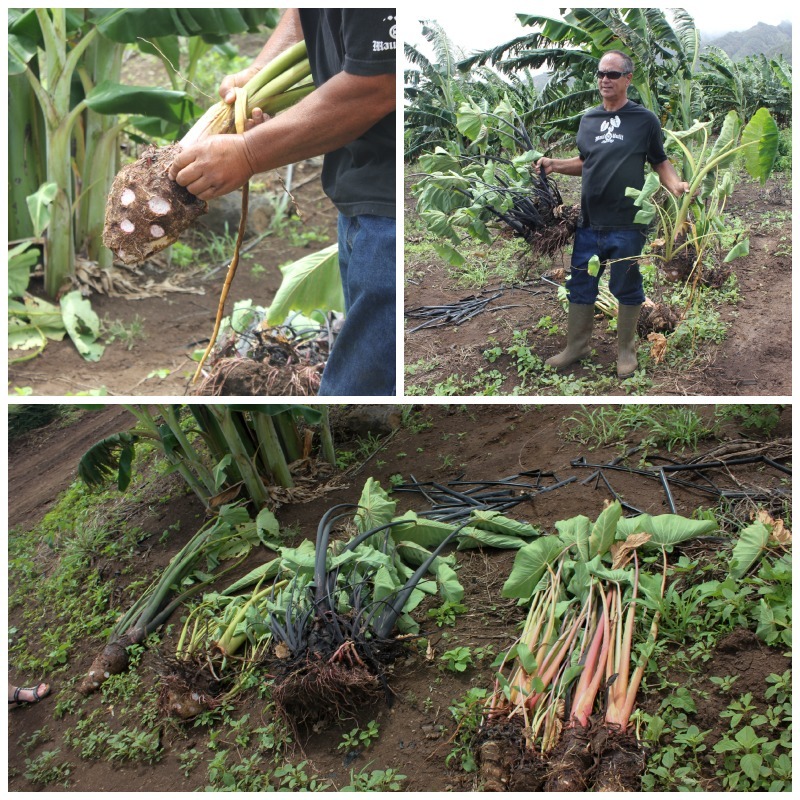 But with the new wave of commitment to farming, comes the ability to increase the access to kalo – and to make it once again a regular part of the Hawaiian diet. 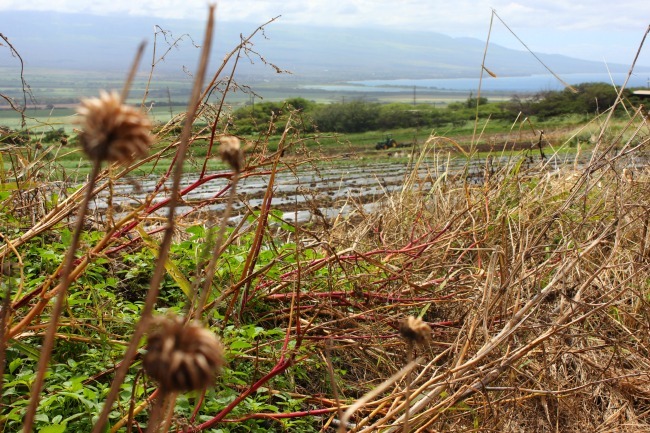 At one time, the black taro was only eaten by the Hawaiian royal family – but hopefully, now the many varieties will be as common as garden weeds for the locals. Kalo led me to learn another Hawaiian word – ohana, which means family and is intrinsic to kalo – the mature plant is related to the beginnings of the human race according to Hawaiian beliefs. How many of us can say what we eat is intrinsic to our past? 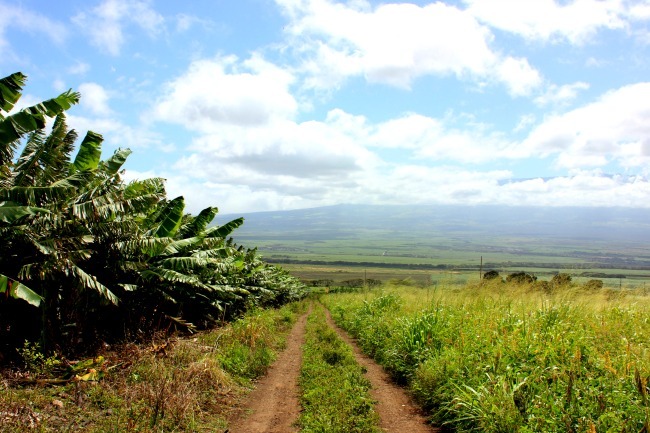 From ‘aina to kalo to ohana, the first part of my learning was the connection we all understand – the land to the people.